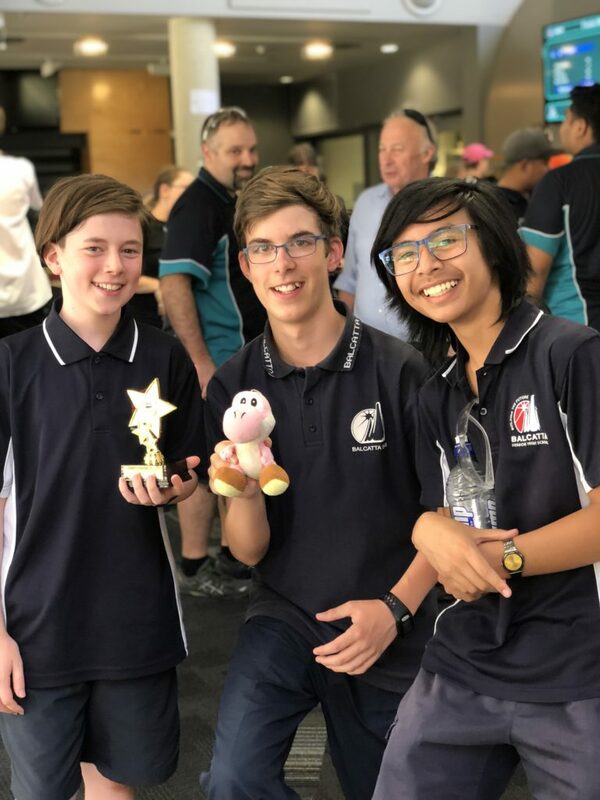 On Saturday 8 December, Year 8 boys, Harry Dos Santos Babic, Dante McGee and Adzi Zein (Wade Homewood - absent) came second place in the FIRST Tech Challenge for Robotics. Congratulations, what a great achievement! A special thanks to Mr Matthew Witcombe and Dr Sarah Wickham for their coaching after school and their support at this event. 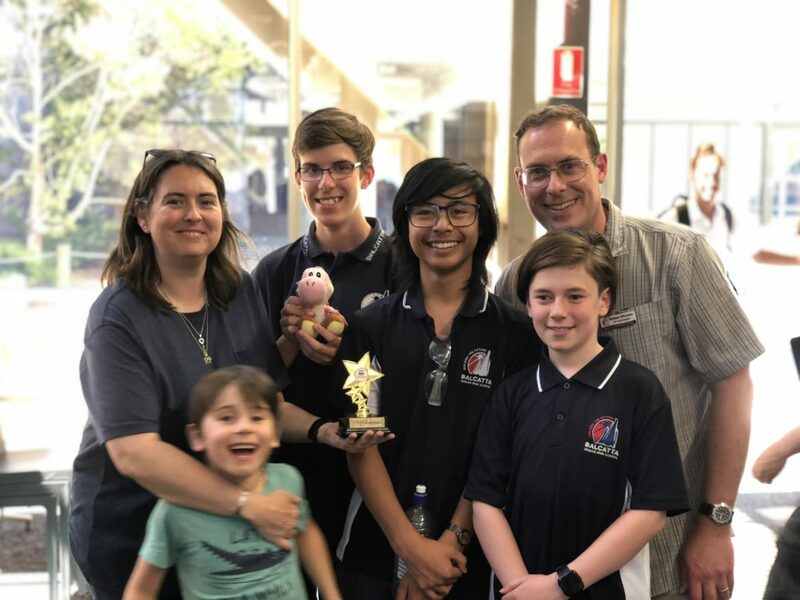 The Balcattabots, along with 8 other teams from Perth, competed in a Round Robin competition on Saturday at Curtin University. Each team formed an alliance with one another team for each round (chosen at random), and went head to head for 2 mins 30 secs to gain as many points as possible. There were 8 qualifying matches in the Round Robin, and up until the 8th match, we were ranked in 1st place. However, luck wasn't on our side in the 8th match and we ended up ranked 4th. 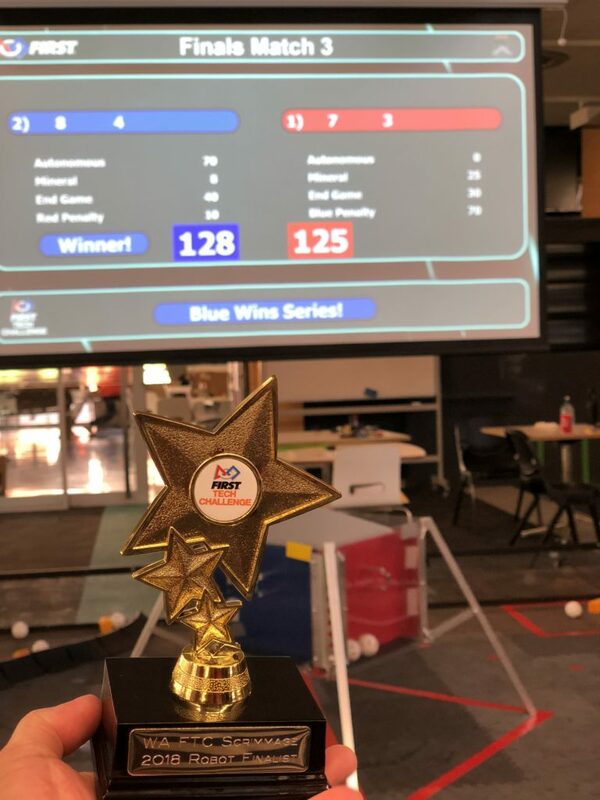 However, Southern River College (who we had been working closely with) topped the leader board and chose us as their alliance for the finals. The finals were the best of three matches. It was Southern River/Balcatta against Byford/Private team. The opposition won the first match and we won the second match, meaning it all came down to the final match to determine the champions. It was a very close, high scoring game, with the final score being 128 to 125 in favour of the opposition. Whilst we made it as runners up, the students will come back as winners today. We are so proud of them. 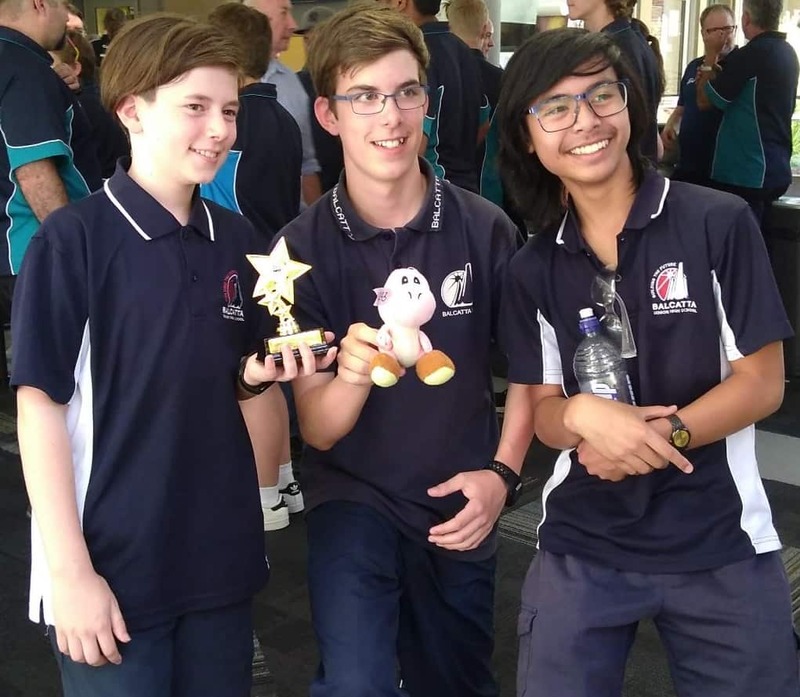 Also, Mikael Sisko and Ashleigh Curedale of Year 10, were fundamental during the building of the robot and were amazing mentors to the Year 8 students. 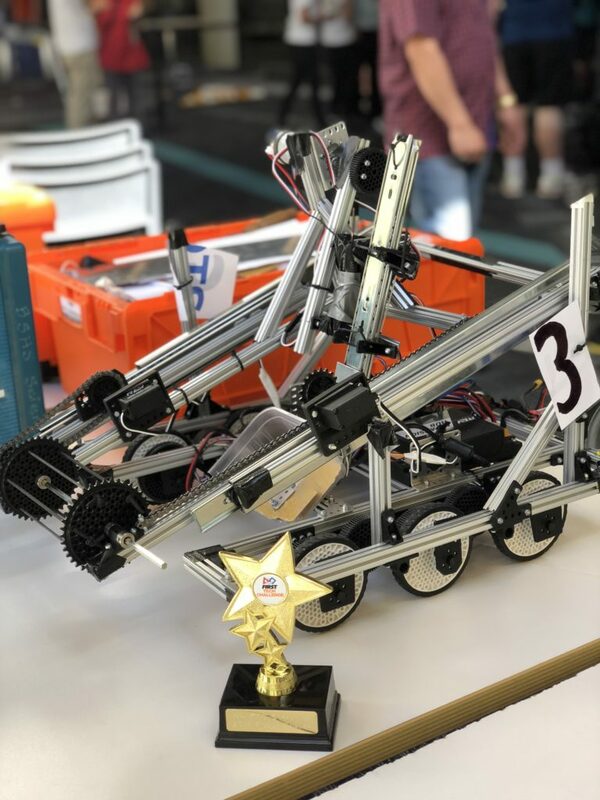 Unfortunately, they couldn't be there on Saturday, but the skills in which both of these students have for problem solving and mechanics is amazing.